Support Women in Childbirth - Become A Doula! A dou-WHAT, you may ask? A doula, also known as a labor assistant, is someone who supports women during birth. Studies have shown that the presence of a doula can decrease the rate of c-sections by 50% and shorten the length of labor by 25%. It’s amazing what a little support can do! 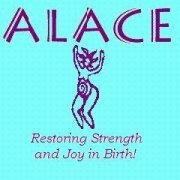 Come to an ALACE training workshop in Los Angeles on April 21-23, 2006 if you are interested in becoming a professional doula, interested in midwifery, or just want to learn about birthing! ALACE, the Association of Labor Assistants and Childbirth Educators, is one of the oldest and most respected doula training organizations in the country. Visit their website, www.alace.org, or call 888-222-5223 for more information.